Grant money can be used to obtain equipment, train your coaches and to pay fees for players that would otherwise be unable to participate. The availability and type of grant differs depending on your location. Nonprofit grants are intended to enhance youth programs and individual sports development. Increasing funding to these programs eliminates restrictions because of funding problems. Nonprofit institutes, according to Idealist.org, all have a mission. They are also often primarily volunteer-driven. Financial support for nonprofit youth sports can come from donations, but is often a pay-to-play organization. Youths who can not afford to play otherwise might have the opportunity to do so with grant programs. Eligibility requirements differ between specific nonprofit grants. General requirements for youth sports programs include nonprofit youth sports programs and other educational athletic programs. Grants are available to large organizations, small organizations, school athletic programs and after-school programs. Some grants also cover the training of coaches. 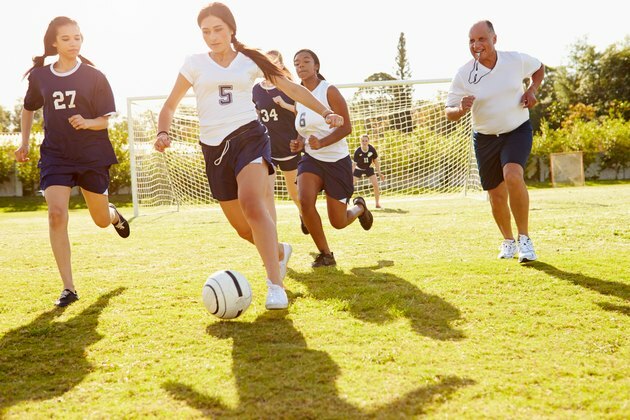 Liberty Mutual offers a community grant for youth sports. Prior to applying, you must register for Responsible Sports and complete training and coursework. The more members your organization has obtaining the training certifications, the higher your chance for obtaining the grant. You can't receive the grant more than once. The Daniels Fund provides opportunities for youth and amateur sports. According to the group's website, Bill Daniels, the founder, said he believes that sports can change the direction of kids' lives. This fund is available to projects servicing Colorado, New Mexico, Wyoming or Utah. Gain information on the grant that you are interested in. Ensuring that you fall within the guidelines will eliminate wasted effort. Follow the application rules diligently. Gain the support of the people within your organization. Idealist: Nonprofits: What Are We Talking About Anyway?